Antalya is a cliff-top city in Turkey, set among palm-fronded boulevards that emanate from its winding historic core. 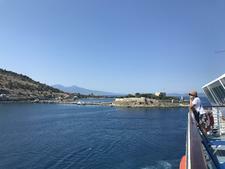 The eastern Mediterranean port stands against the stunning backdrop of the Taurus Mountains. King Attalus II of Pergamum turned this safe harbor into a naval base in the first century B.C., and you'll still encounter the occasional Roman ruins site as you walk around. Divine dining options abound in this historical port city, which is known as "the Paradise of the Vegetables"
For centuries, the city's economy was based on its port, but large-scale development in the 1970s transformed Antalya from a pastoral town into one of Turkey's largest metropolitan areas. Much of this development has been because of tourism, which continues to expand in the 21st century. Antalya is a popular holiday destination for the British and for other western Europeans. In addition to miles of beaches, the port offers cultural attractions like the nearby Aspendos International Opera and Ballet Festival (held annually in June and July) and its own jazz and film festivals. Natural wonders to enjoy include a number of waterfalls tumbling into the sea and archaeological day trips to Perge, Side, Phaselis and Demre. The main attraction of the city is its old port -- these days used by fishing boats and "Pirates of the Caribbean"-themed pleasure craft -- which is ringed by cafes and even offers its own small pebble beach. All but the smallest ships dock at Port Akdeniz -- Antalya which has two berths for cruise liners and a marina with 250 berths and a 150-yacht dry-dock capacity. The terminal building was renovated in 2010 and has plans to house a duty-free shopping area. 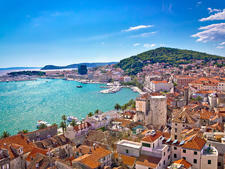 It's located nine miles to the west of the historic center of Antalya. Transfers into Antalya are usually provided by individual cruise lines, but there are usually taxis at the gate offering a flat rate of 15 euros (about $20) for four people into the city center past the Konyaalti beaches. Akdeniz -- Antalya has plans to become a major turnaround/homeport serving the Mediterranean (Akdeniz is the Turkish name for Mediterranean). Stores, restaurants and ATMs are located at the Celebi Yacht Marina, a mere five minutes' walk from the cruise terminal. There is an information desk and cafe in the terminal building. There is also free Wi-Fi but no Internet cafe. There are ATMs in the adjacent marina. As you exit the terminal, there is nothing except waiting taxis and a long, dusty road that eventually leads to the Konyaalti beaches if you turn right. Don't overtip. Tipping is a European and American tradition that has only recently been introduced to Antalya by tourists. There is no percentage that you are expected to add for wait staff, taxi drivers or hotel porters. If you feel you have received good service, just round up the bill or throw in some change. By Tram: Antalya's "Tramvay" has 10 stops and provides the simplest way to travel from one end of town to the other. You pay the driver half a lira as you board, then you exit through the rear door. The tram runs from the Antalya Museum (the stop nearest to Konyaalti beaches), along Cumhuriyet Caddesi, Ataturk Caddesi and Isiklar Caddesi. Some enterprising people take a cab as far the museum and then save money by taking the tram into town. By Taxi: Taxis are yellow cabs and metered (but make sure it's switched on). They are plentiful and can be hailed at the roadside. You'll also find taxis accumulating outside the main gate of Akdeniz Port. The Turkish lira (TRY) has bank notes with the face of Kemal Ataturk, the first president of Turkey, on them. For current currency-conversion figures visit www.oanda.com or www.xe.com. A number of banks with ATMs are located on Kazim Ozalp Caddesi. Several currency exchange offices displaying the "doviz" sign can also be found in the same street. Shop around for the best rates; they can vary greatly in Antalya. ATMs belonging to Finansbank, Denizbank and Isbank are located along Ismet Pasa Caddesi and Isiklar Caddesi. Most offer screen text in English as well as Turkish. Some even offer the option of French and German. Some enterprising vendors will also accept payments in dollars, pounds and euros, although the exchange rates won't do you any favors. 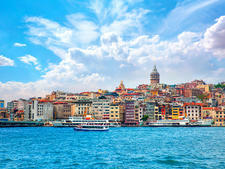 More English is spoken along this coastline than anywhere else in Turkey, with the exception of Istanbul. A few Turkish phrases will, however, be gracefully received by your hosts. Ingilizce biliyor musunuz? (ing-geh-LIZ-jay bill-E-or mus-un-uz): Do you speak English? Antalya is known in Turkish as The Paradise of the Vegetables. Oranges used to be harvested from trees that grew in the city streets. Olive oil is produced locally and used extensively in cooking. You'll find plenty of fresh seafood on the menu: sea bass, perch, calamari -- all caught that morning. There are also plenty of stalls selling kebabs. The doners are spicy, while urfas are gentler. There are no set mealtimes. Once a restaurant opens in Turkey, you can order breakfast, lunch and dinner any time of day. Piyaz is a local appetizer containing beans, onion and eggs. Pide is an oval Turkish pizza. Best Beach Dining: Salvador Dali Restaurant & Bar in the Antalya Beach Park is one of a number of great spots for light bites -- pasta, salads and grills at reasonable prices. Best for Lunch on the Run: Isiklar Caddesi is a very good place for kebab stalls, which you'll find under large metal awnings next to Umbrella Street (which is decorated with scores of colorful umbrellas). Blue charms against the "Evil Eye" are found all over Turkey. They make attractive glass pendants or wall hangings. The narrow streets of the Kaleici area are worth browsing for traditional jewelry, candlesticks, painted bowls, carved boxes, rugs, leather goods, and some remarkably convincing "replica" goods. The drink of choice in Antalya is Turkish coffee (Turk kahvesi), which comes in small cups and has a distinctive spicy quality. It's best taken with a little sugar. When you order, make sure you specify this because sugar is added in during the brewing, not after. Be careful as you finish it too. At the very bottom of the cup there are some pretty potent dregs that you don't want to hoover up. There are plenty of picturesque cafes to check out around the old port, but one of the most interesting contemporary cafes is Leman Kultur on Isiklar Caddesi.